Help support the show by using the banner below when you shop at Amazon. We start this week with a serious discussion about The Fifth Element before we get on topic. 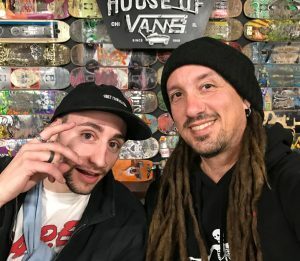 We discuss the skate scene in Boss Baby, our trip to Madison last week, Tiger Woods on Monster and winning the Masters, Scabs for Slabs (the best video ever), Vert Attack, OJ Wheels, and so much more. After spending a few hours at the Madison skatepark, we sat down at a bus stop to record today’s episode before continuing our adventures in the streets. We make up for missing last week, but we’re stuck indoors while this cold snap crushes the midwest. We have so much skateboarding to talk about, so have a listen and tell two friends. Aaron gets passionate about the Skate Moss trolls in her comments before we talk about our Cream City session, then we get in to plenty of skate topics from the past week. 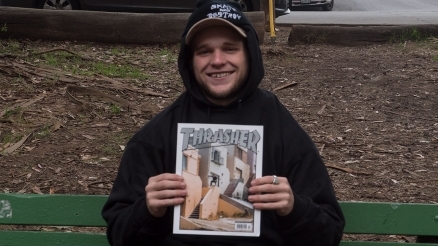 Skatosis #110 – The Bone Zone! ETN conspiracies abound as the sound effects kick in.